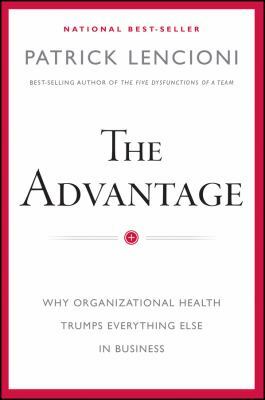 In this book, Lencioni delivers a cohesive and comprehensive exploration of the unique advantage organizational health provides. He offers leaders with a groundbreaking, approachable model for achieving organizational health--complete with stories, tips and anecdotes from his experiences consulting to some of the nation's leading organizations. New (232 available) BRAND NEW. Over 1.5 million happy customers. 100% money-back guarantee. Make your purchase count: support Better World Books' worldwide literacy partners.